Dormont Park is an award-winning rural development of 8 No. 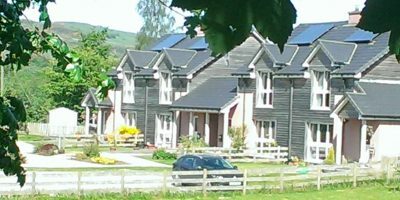 new 2- and 3-bedroom semi-detached Passivhaus Homes. 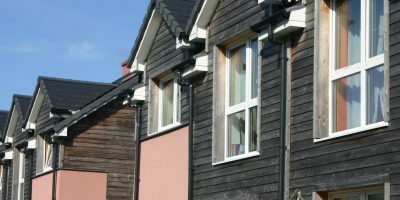 Completed in 2011 and part-funded by the Scottish Government’s Rural Homes For Rent pilot grant scheme, the properties are intended for long-term affordable rent. Built on a greenfield site next to an existing small building group, the new build homes have been designed to blend in with the traditional building style of the area. 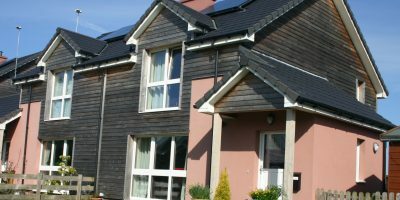 The Passivhaus approach, coupled with renewable energy technology, has removed the threat of fuel poverty into the long term for the tenants of these houses. Had these houses been built to the standards required by building regulations in force at the time, it is estimated that each house would emit 63 tonnes of CO2 every year. 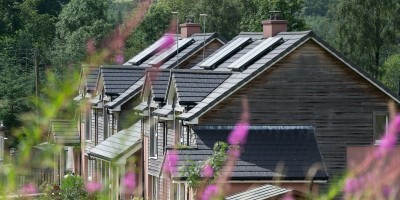 By building to certified Passivhaus standards and utilising solar and biomass renewable energy, each house will emit around 3 tonnes of CO2 a year – a saving of 60 tonnes of CO2 per house every year for the estimated 60 year lifespan of these houses. That also means lower energy bills in an area off mains gas, which, with affordable rent levels, are having a significant impact on tenants’ disposable incomes and helping to support the survival and sustainability of a fragile rural community. Not only does this increase household disposable income but it makes travel more affordable in a rural area where car dependency is high. 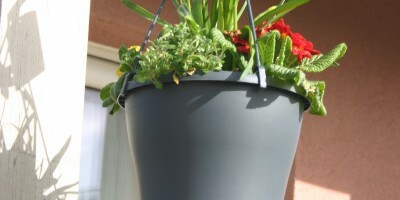 Please contact us if you would like to know more about Passivhaus. Please use the links in the drop down menu to find out more about Dormont Park. Please contact us if you would like to be informed should a Passivhaus at Dormont become available to rent. 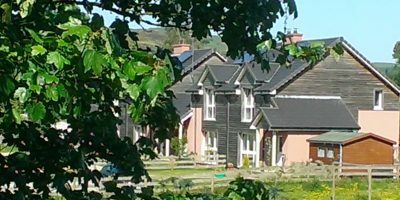 Are you interested in Passivhaus homes?